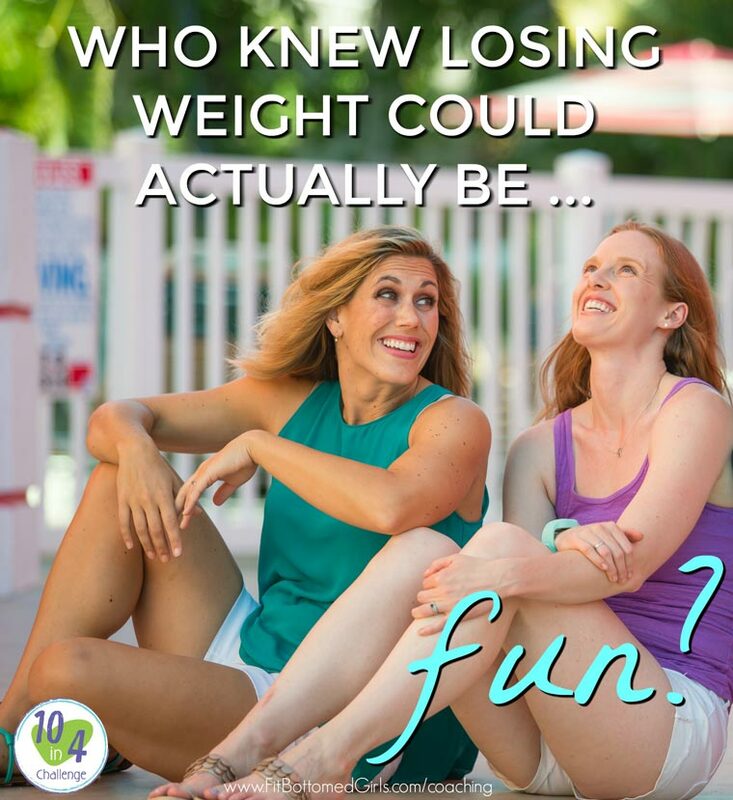 You probably don’t think of “weight-loss” and “fun” as two concepts that go together. But what if they did? What if you could take the steps to get healthy and eat better and work out and take care of yourself with the love and support you needed and actually had a good time while doing it? How amazing would that be? Pretty freakin’ amazing, right? Well, you can. We finished our second round of the 10 in 4 Challenge with 50+ amazing women (more on them and their incredible transformative stories tomorrow!) about a month ago, and it was such a huge success that we’re doing it again. And registration just opened for it! If you’ve been looking to lose some extra pounds with a whole lot of self love and — gasp! — fun, this is the program for you. With just enough of a challenge to get you making serious changes and setting new habits (10 in 4 stands for 10 pounds in 4 weeks, although weight-loss is just a perk of the whole getting-healthy thang), while also celebrating how awesome you are just as you are right now, it’s weight-loss with self love … and a whole lot of support. And it works. Fun full exercise and gym partner are so important to make that workout session so amazing session.